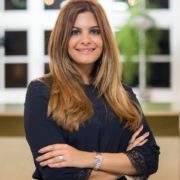 Leila is an immigration attorney with a U.S. law practice and global migration consulting practice. She assists investors to obtain UK and EU Citizenship through investment. Leila is also a community leader that often volunteers her time planning impact events and initiatives. She is currently on the Board of the Iranian American Bar Association and Persian Women in Tech, and has organized over 50 events. Leila has directly coordinated with the U.S. State Department and Consulates abroad to help secure visas for top Iranian students and artists to attend/perform in U.S. competitions, film festivals and concerts. Leila has been invited to speak on many news programs and educational panels involving immigration law, civil rights, and the recent Travel Bans enacted by President Trump. During the Obama Presidency, she met directly with the Director of USCIS, Leon Rodriguez, and President Obama’s Senior Advisor Valerie Jarrett. She also attended a Persian New Year celebration at the White House, hosted by Former First Lady Michelle Obama. In addition to this, she recently launched a campaign called #FemDiplomacy, with the goal of uniting women from the Middle East. Leila currently divides her time between DC and London.